I will answer why I went BBK kit via 2V or 4V. 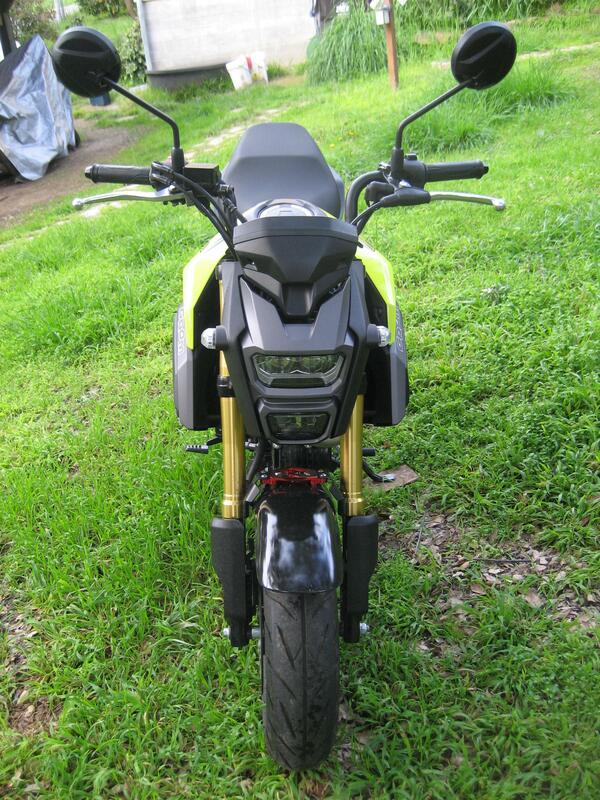 First off I met a few grom owners with the super 125cc kit that REN sells or other vendors sell. For one thing the super 125 kit is great for reliability and will cruz all day 70-80mph with the correct ECM, airbox, exhaust, and mapping. I had both the 2V kits 170cc and 183cc and now the 4V kits Takegawa 181-4v. 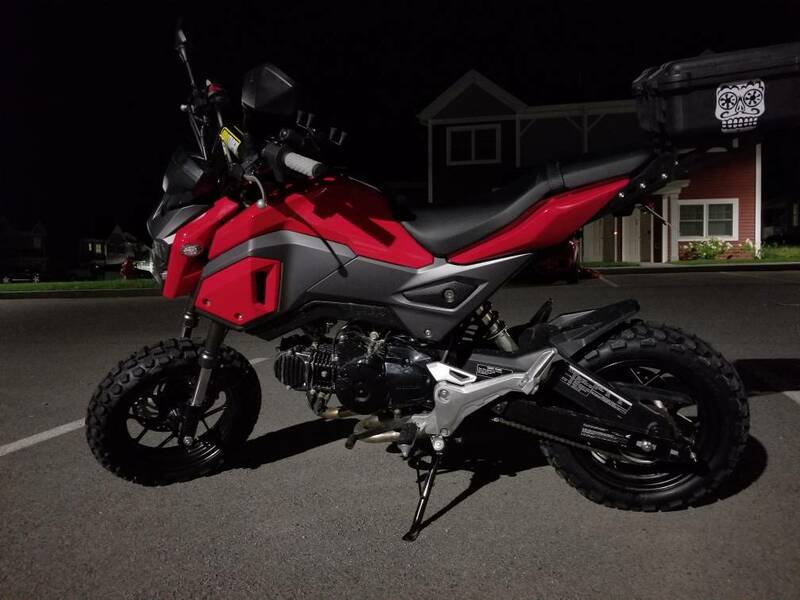 From having been one of the first grom owners testing and tuning both these types of kit I found out that things to consider is good A/F mapping, good cooling, and correct gearing setup. The main thing that I realized that hindered all my builds may it be 2V or 4V kits was the CCV system. With out going into details I sure if I had found the right CCV system I would maybe still be running 2V engines. CCV= Crank Case Venting. As I said with out understanding internal crank case pressure, blow-by and such I would never have gotten my engine to last and run as good as they do now. Finding the right ECM system is the second most important area most grom builders need to take into consideration. I'll let the builder decide how much they can spend or money wasted to figure out what works or not. 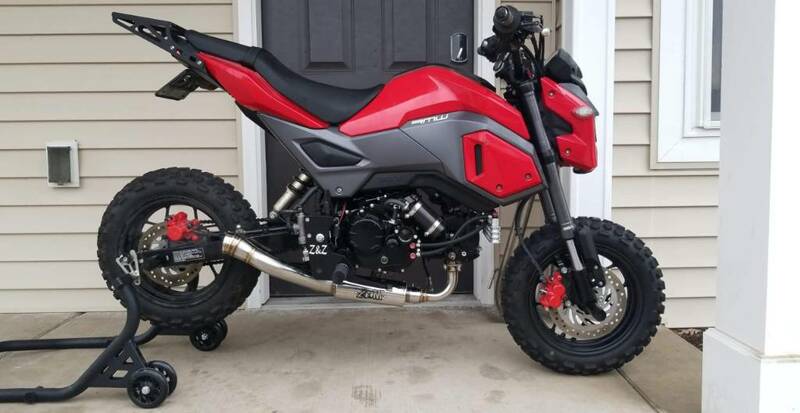 Most grom owners on this website need to read everything on this website pertaining to building a good engine and decide what hardware they can afford or should buy for their type of riding style or what they want to accomplish in your build. Below I will list the items that I think that is important for any grom build starting with mild build to wild build. 1. remove oil spinner and replace with Kitaco Clutch side cover. "advantage, you get a real oil filter, ports for external oil cooler, reduced spinning weight"
3. full exhaust system, "NO crappy slip on's, want noise drill some holes in your stock muffler"
5. 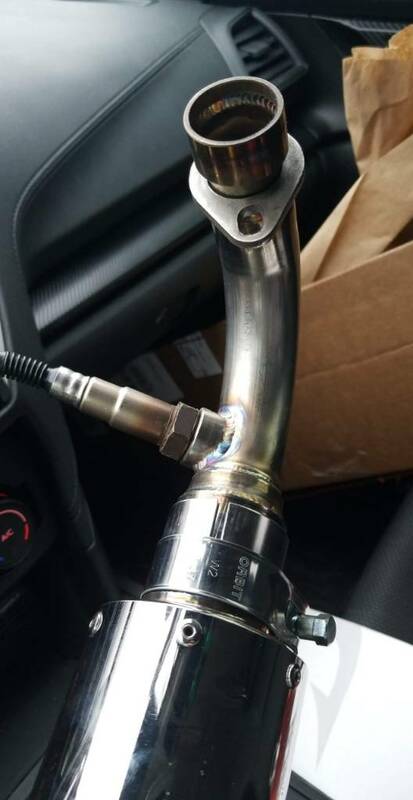 Port match any intake or exhaust port on the head with the hardware you are using. 7. CCV, get a good Crank Case Venting system, there is a lot of choice out there some good and some not so good. 8. get the correct F/I for your engine. 9. 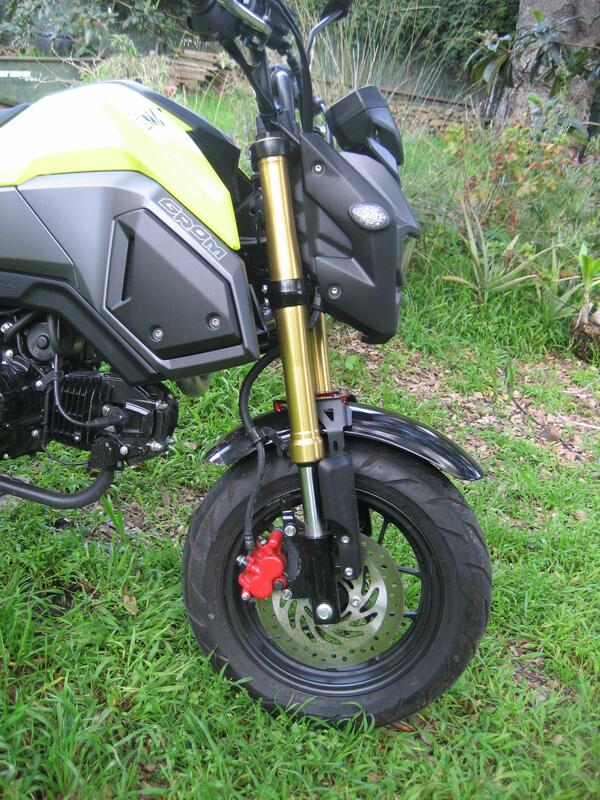 Reduce weight either on the grom or on yourself will help out the total experience in Hot Rodding the grom. Good Luck all and ride safe. Gotcha. Makes sense .... I have seen a lot of dudes liking the idea of keeping the stock OEM reliability of the Honda components. Look forward to hearing what you think in the future. Lots of good feedback and knowledge in this post... totally get ya on the good CCV. Without it your gonna suffocate the engine and cause lots of oil oil consumption as well as possible internal damage and lack of power. Awesome! That’s the kit I am leaning towards as well. Haven’t heard much about the 150 kit. Wonder what they are seeing speed wise with these kits and the average size rider .... now to have a buddy buy the kit and ship it too me good ol CA. 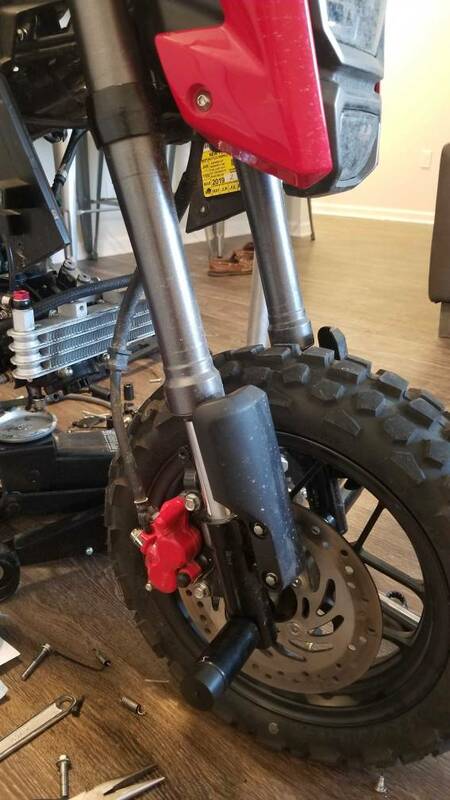 Can OP or anyone else who has done a front fender delete like the one above tell me how you secured the brake line bracket that's attached to the stock front fender? Kitaco 3 row oil cooler and catch can, new exhaust, and monkey fork guards. mikochu and CiscoSanJose like this. It's like a splittin' image of my Brute GP! Congrats! Nice touch. The Monkey fork guards are perfect for a dual sport. 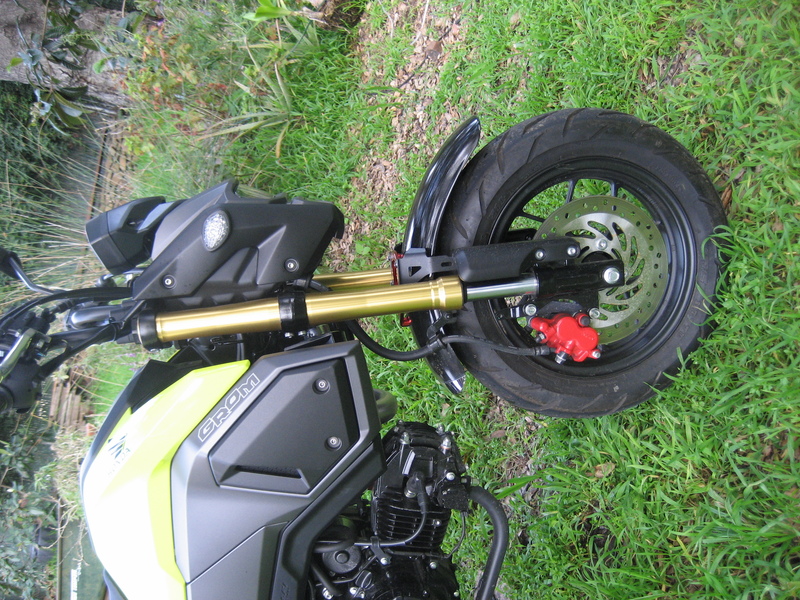 I put a low front fender on mine, but they also mount high same as on the Monkey.